Second Saturday is a divorce advice workshop that provides essential information to help you successfully navigate the divorce process. This workshop is designed for people at any stage of untying the knot to help you better prepare for the complexities of divorce while avoiding common financial, legal and emotional pitfalls. Second Saturday covers the legal, financial, family and personal issues of divorce in a logical, yet compassionate way. Our workshops are presented by a team of qualified legal and financial professionals and family counselors. These professionals include mediators, attorneys, real estate professionals and financial advisors with specific training in helping couples working through a separation or divorce. The professionals focus on a team approach to help you get to a durable and sustainable agreement. There are several process options available to couples separating or divorcing including: mediation, collaborative law and litigation (a court based process). The professionals review the different process options to help you decide which process will fit your specific situation and level of support you need. The classroom format will give you ample opportunity to ask questions, meet with divorce professionals, connect with resources for your specific situation, and connect with other participants in similar situations. Second Saturdays provides unbiased information that reviews and explores your options and helps you move through the process. No matter what level of knowledge you may feel you have with the finances, if you are considering a separation or divorce, the workshops offer a private space to help you understand your personal situation. The attention you will receive with multiple professionals will enable you to get answers to your questions all in one place for a fraction of the cost of what it would be to meet with just one professional. Workshops are offered the second Saturday of each month from 9:00 am – Noon and starting in July will be offered at the offices of The Mediation Center, 95 Allens Creek Road, Building 2, Suite 123, Rochester, NY 14618. You may just walk in or pre-register by visiting www.womensfinancialeducation.com/secondsaturday. For more information on the workshops or about mediation as a process option, please call: 585-269-8140. Mother’s Day and Father’s Day are likely to be two of the most emotional days of the calendar for divorced parents. Sadly, sometimes divorced parents find themselves in a battle for time with their children on Mothers or Fathers Day. With Mother’s Day being just around the corner, think about your children and what behavior will help them have the best experience instead of turning your Mother’s Day into a power struggle, battlefield, or statement about who is the better parent. If you haven’t already provided for it, perhaps adding language that allows the children to be with their Mother on Mother’s Day and with their Father on Father’s Day would provide for the needs of the children and the parents on their special day. It is an important day for both the parent and the children. Keeping any parental conflict out of these days will allow the children to celebrate with each of you simply and less stressfully. Dad, a few simple things to keep in mind this weekend: help your children make or buy a card and/or gift for their mother, allow adequate time for your children and their mother to celebrate, and try to keep your children out of the middle by taking a mental oath to avoid all manner of conflict related to this special day. If Mothers Day doesn’t fall into the appropriate parent’s scheduled parenting time, consider adding it as a bonus day that doesn’t have to be made up. If you have remarried, be sure to reserve the primary celebration of Mother’s Day for your child’s immediate, biological (or adopted) mother. While you may want your children to be considerate and remember grandparents, stepparents or other extended family members on these days, it should not be in place of observing Mothers Day with mom. Mom, If seeing your children is not a possibility, consider making a plan for the day and finding supportive friends and share the day with them, call your children rather than waiting for them to contact you, and don’t forget about your own parents, spend time with your mother. No matter how old you are, you are still her child and she will appreciate your time and attention. No matter what you end up doing on Mother’s Day, take a moment to pat yourself on the back because you deserve it. From all of us at The Mediation Center Inc., Happy Mother’s Day! For more information visit: www.mediationctr.com or call 585-269-8140. 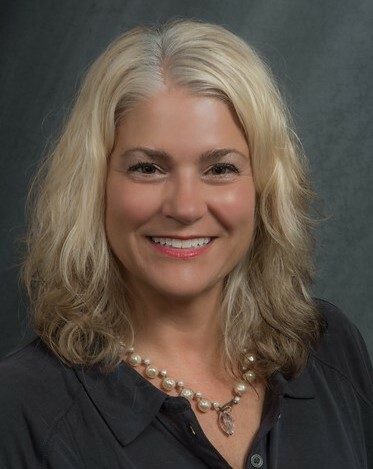 Renee LaPoint, owner of The Mediation Center Inc. in Rochester, NY, has recently been elected as President of the New York State Council on Divorce Mediation. Renee was elected by the membership at the 2017 Annual Conference that was held in Tarrytown, NY, May 4-6 . The Council sponsors three (3) conferences a year as well as offers many other continuing education opportunities to its membership located throughout New York State. The New York State Council on Divorce Mediation (NYSCDM) is a non-profit organization dedicated to promoting the highest professional standards of divorce mediation. Among its services to the community, NYSCDM works actively to promote family wellness by increasing public awareness of mediation as the preferred process for divorce. As part of her duties, Renee will direct the council in its mission to “advance the professional development of our members and promote mediation for families and couples in conflict.” Having started her practice seven (7) years ago in the Rochester Area, Renee has offered a great deal of experience and wisdom to hundreds of families in need of mediation services, which she now brings to the table as the President of the Council. Renee received her Accreditation with the Council in 2013 and specializes in many areas of practice at The Mediation Center Inc. including divorce and separation mediation, family and relationship mediation, workplace mediation/conflict resolution, collaborative facilitation, conflict coaching/consulting, pre/post-nuptial agreements, domestic partnerships, and LGBTQ issues. Not only will she continue to provide expert support to her clients in all of these areas, but she will now serve the interests of other practicing mediators across the state as the head of the New York State Council on Divorce Mediation. Renee is looking forward to playing a larger role as the leader for the Council, “The Voice of Divorce and Family Mediation in New York” in the coming months and throughout her term. Congratulations Renee! For more information you can contact Renee directly at 585-269-8140, via email at renee@mediationctr.com or visit her website www.mediationctr.com.